With the ever-growing dynamicity, complexity, and volume of information resources, the recommendation technique is proposed and becomes one of the most effective techniques for solving the so-called problem of information overload. Traditional recommendation algorithms, such as collaborative filtering based on the user or item, only measure the degree of similarity between users or items with single criterion, i.e., ratings. 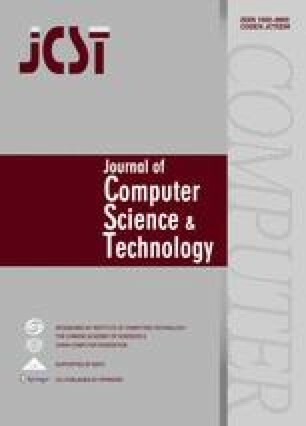 According to the experience of previous studies, single criterion cannot accurately measure the similarity between user preferences or items. In recent years, the application of deep learning techniques has gained significant momentum in recommender systems for better understanding of user preferences, item characteristics, and historical interactions. In this work, we integrate plot information as auxiliary information into the denoising autoencoder (DAE), called SemRe-DCF, which aims at learning semantic representations of item descriptions and succeeds in capturing fine-grained semantic regularities by using vector arithmetic to get better rating prediction. The results manifest that the proposed method can effectively improve the accuracy of prediction and solve the cold start problem. The online version of this article (doi: https://doi.org/10.1007/s11390-018-1848-x) contains supplementary material, which is available to authorized users. Pana Y, Hea F, Yua H. Trust-aware collaborative denoising auto-encoder for top-n recommendation. arXiv:1703.01760, 2017. https://arxiv.org/abs/1703.01760, May 2018. Zheng Y, Tang B, Ding W, Zhou H. A neural autoregressive approach to collaborative filtering. arXiv:1605.09477, 2016. https://arxiv.org/pdf/1605.09477, May 2018. Zhang S, Yao L, Sun A. Deep learning based recommender system: A survey and new perspectives. arXiv:1707.07435, 2017. https://arxiv.org/abs/1707.07435, May 2018. Tong Y, Chen L, Zhou Z, Jagadish H V, Shou L, Lv W. SLADE: A smart large-scale task decomposer in crowd-sourcing. IEEE Transactions on Knowledge and Data Engineering, 2018. DOI: https://doi.org/10.1109/TKDE.2018.2797962. Zhang S, Yao L, Xu X. AutoSVD++: An efficient hybrid collaborative filtering model via contractive auto-encoders. arXiv:1704.00551, 2017. https://arxiv.org/pdf/1704.00551, May 2018. Strub F, Mary J, Gaudel R. Hybrid collaborative filtering with neural networks. https://hal.archives-ouvertes.fr/hal-01281794v1/document, June 2018.